Much has been made about my constituency of Hougang SMC, the second longest opposition held ward since 1991, and a place that I’ve lived all my life. It’s an area that’s been constantly at the centre of political attention, particularly since 1996, when then Prime Minister Goh Chok Tong referenced it to a “slum”, of which he followed up with a $100 million upgrading incentive, but only if residents voted for the PAP in the 2006 General Election. Yet life here is not as horrible as other would make to be, with all your usual amenities and infrastructures serving residents comfortably since it was first launched in 1979 as part of the Hougang New Town project to help in the resettlement of families affected by the extension of the Paya Lebar Airbase. 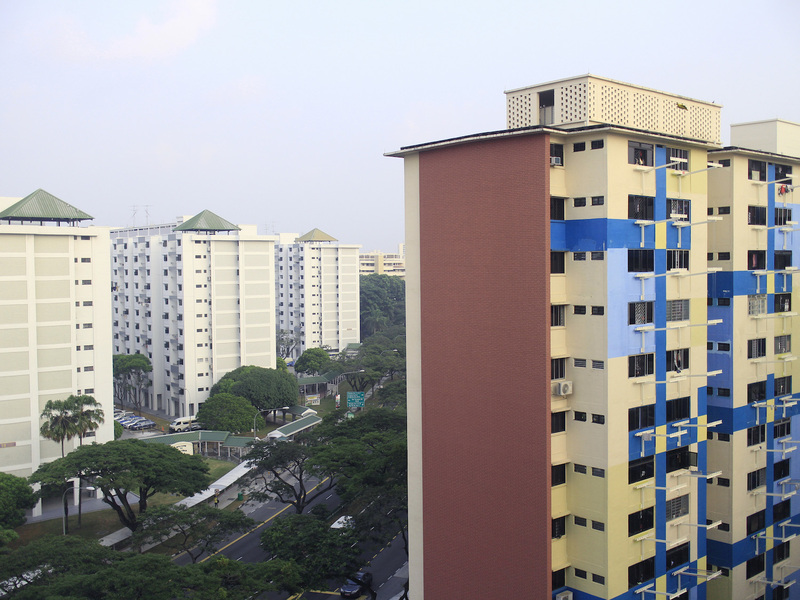 On the right sits the rental flats belonging to Hougang SMC, while the white blocks on the left belong to that of Ang Mo Kio GRC. These two opposing sides were once labelled ‘Beauty and the Beast’ sometime back with regards to the lack of upgrading by politicians. 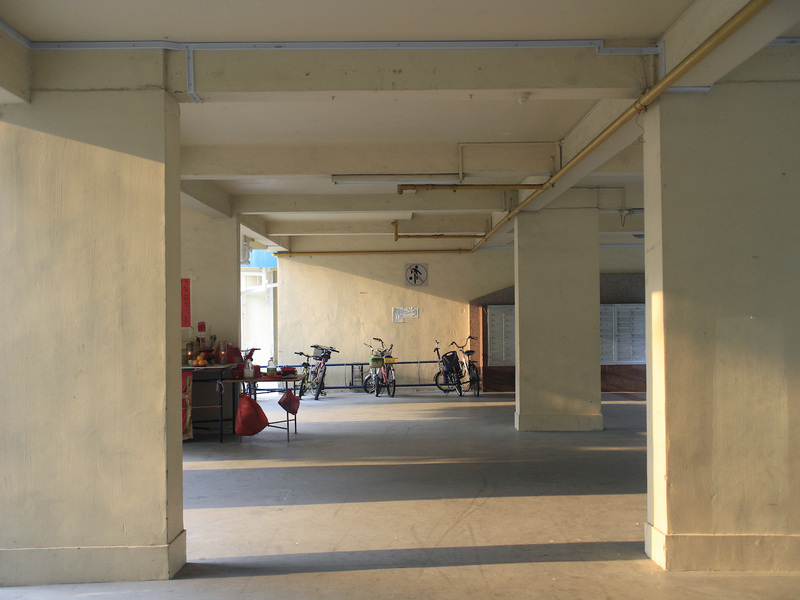 The rental flats along Hougang Avenue 3 are home to lower-income groups that sometimes spill out to the void deck and numerous amenities. Interestingly, Hougang, which means “back of the river” in Mandarin, is actually derived from the Hokkien and Teochew term for Serangoon, or “ow kang”, so named because former kampong areas like Kang Kar were located at the tail end of the river known as Sungei Serangoon, a stretch that’s better known as a popular park connector today. 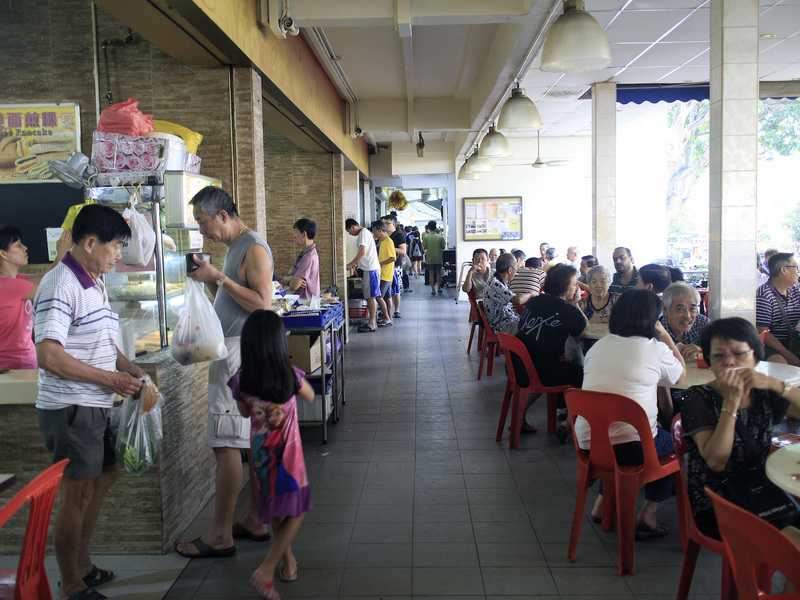 Hougang remains a predominantly Teochew enclave that’s influenced by the first groups that settled in the old kampong neighbourhoods during the 1930s. The dialect is visible not only in the voice of the competing politicians, but also in the presence of Teochew services at the gazetted monument that is the Church of the Nativity of the Blessed Virgin Mary, as well as the numerous coffeeshops scattered around the area. 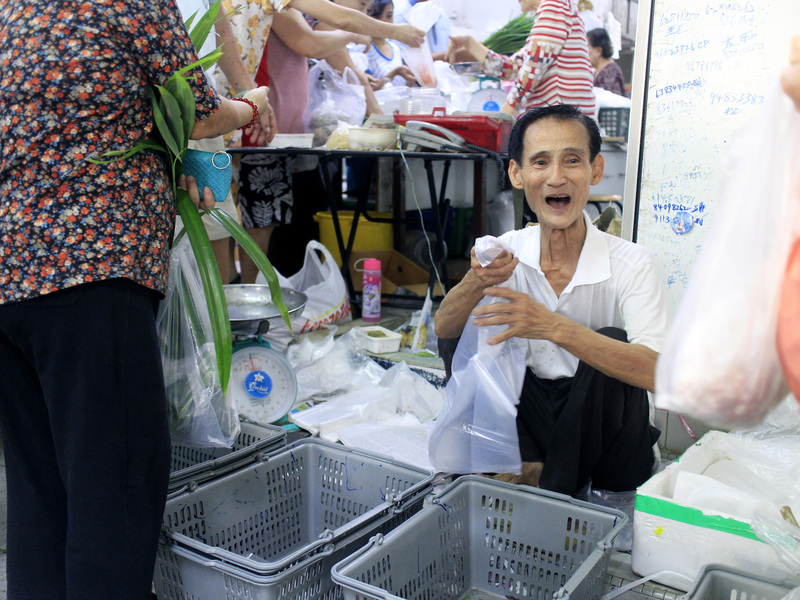 Visit the bustling mini wet-market at Block 322 and chances are you’ll meet ‘Ah Jui’ who provides some of the best discounts you can get. 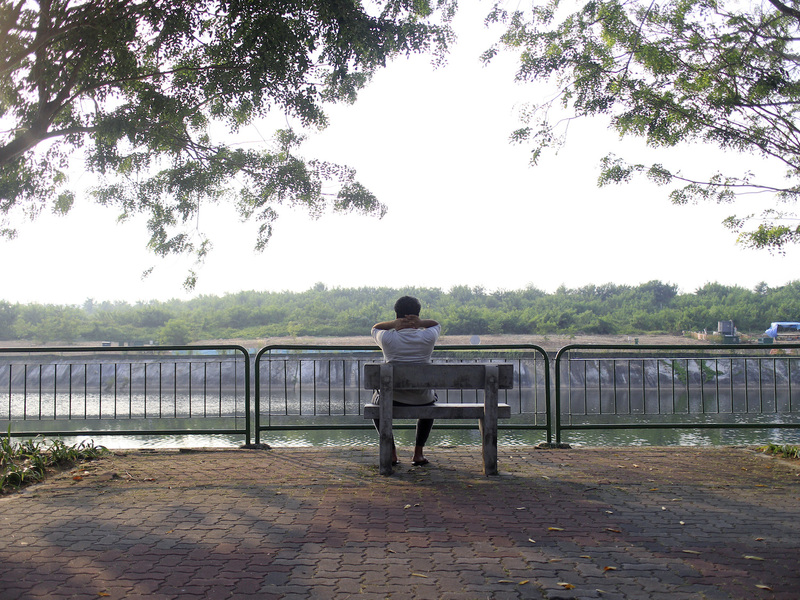 A man takes sometime to meditate at the Sungei Serangoon Park Connector, named as such because of the river that flows parallel to it. 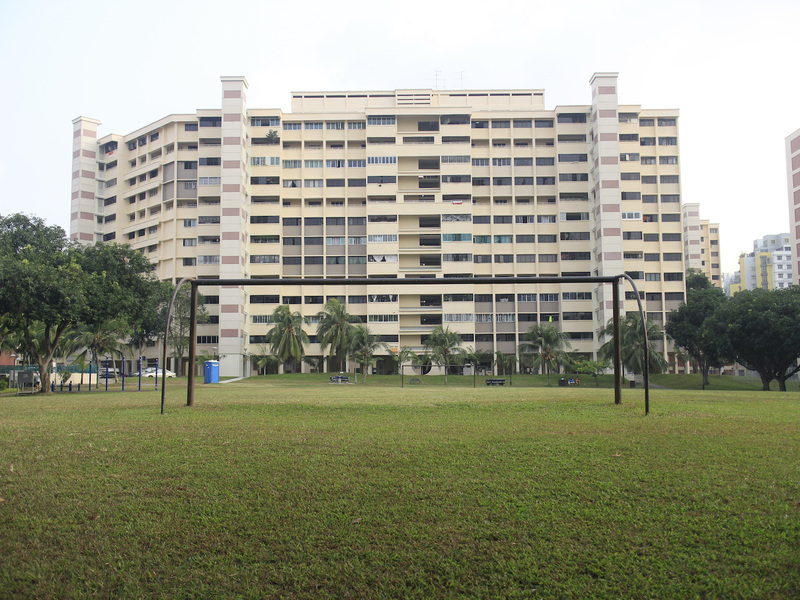 Like many other estates, Hougang is also constantly seeing construction and upgradings in the vicinity. 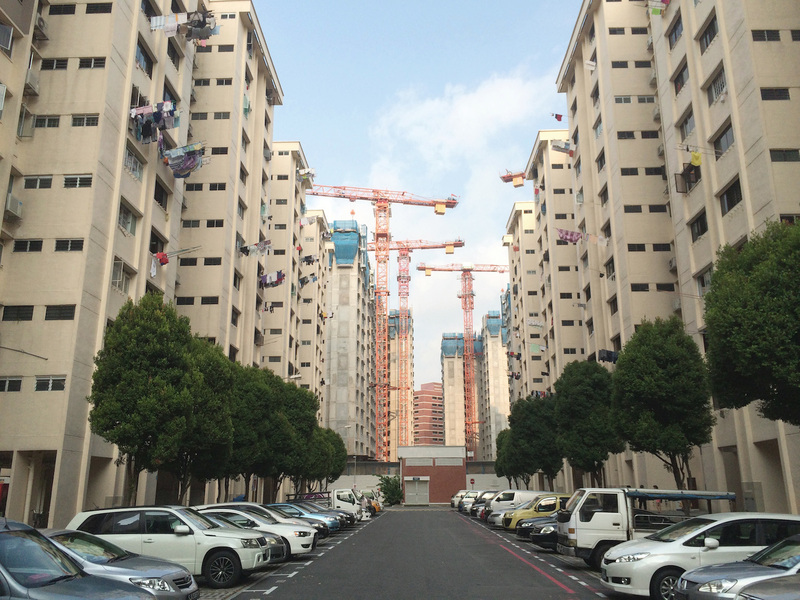 Like most estates, it has a mix of both private (20%) and public/rental housing (80%) units within the constituency, including the first-ever executive maisonette and apartments built in Singapore. 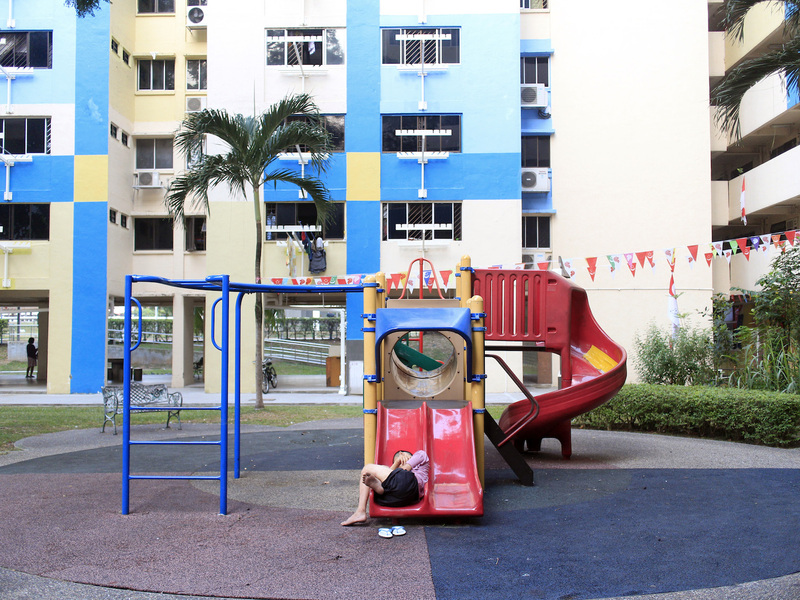 Everything from the playgrounds, void decks, provision shops and exercise parks are essentially the same as any other neighbourhood, maybe with a little less glamour but a whole lot of heart. 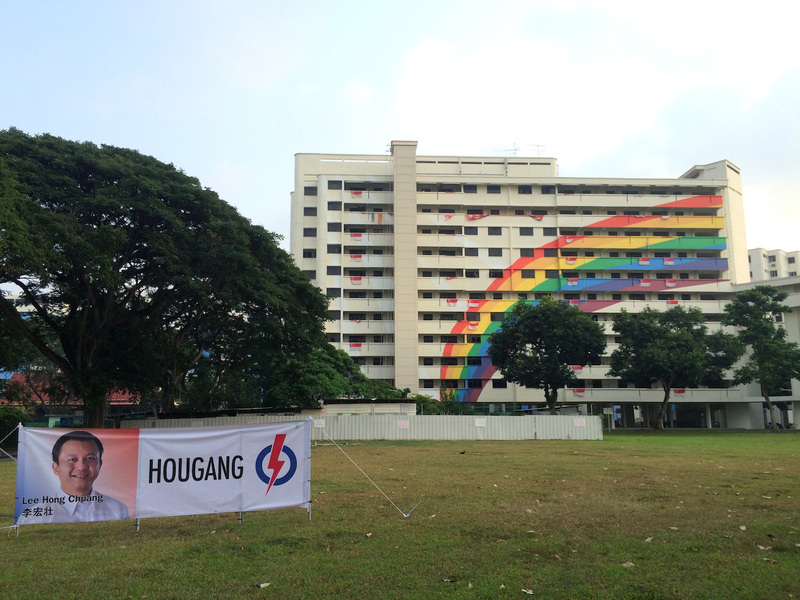 Hougang even holds a few surprise highlights, such as one of the only two rainbow blocks in Singapore, and the unofficial-official coffeeshop headquarters of the Workers’ Party at Block 322 Hougang Avenue 5. A cat makes its mark just outside a Resident’s Committee office. Block 316 on Hougang Avenue 5 recently received a fresh coat of paint, but still retained its iconic rainbow pattern on its facade. Affectionately known as ‘Upper Court’ to most football familiars within Hougang, I strangely do not know where ‘Lower Court’ actually is. A lot of people tell me that they admire my estate as the residents are very wu xim (got heart/soul), but I do think it’s something innately residing in every Singaporean, thought I have to admit, at times it does feel kind of proud to be part of a change in Singapore. 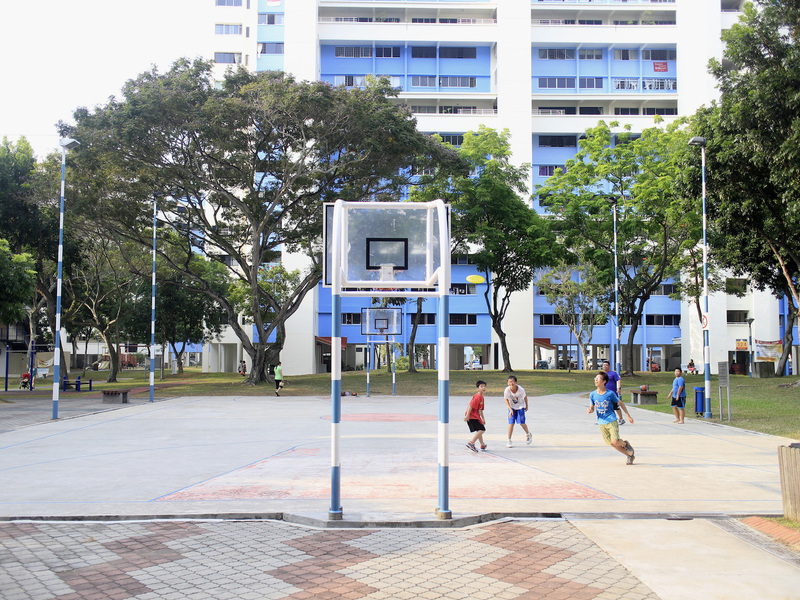 Kids enjoying a game of frisbee at one of the basketball courts in the neighbourhood. Block 322 is also home to the unofficial-official coffeeshop of the Workers’ Party. Sorry dude, I stay in Hougang and the people here are of a different breed. Soiled sanitary pads and used cotton swabs brown as chocolate thrown from windows…. 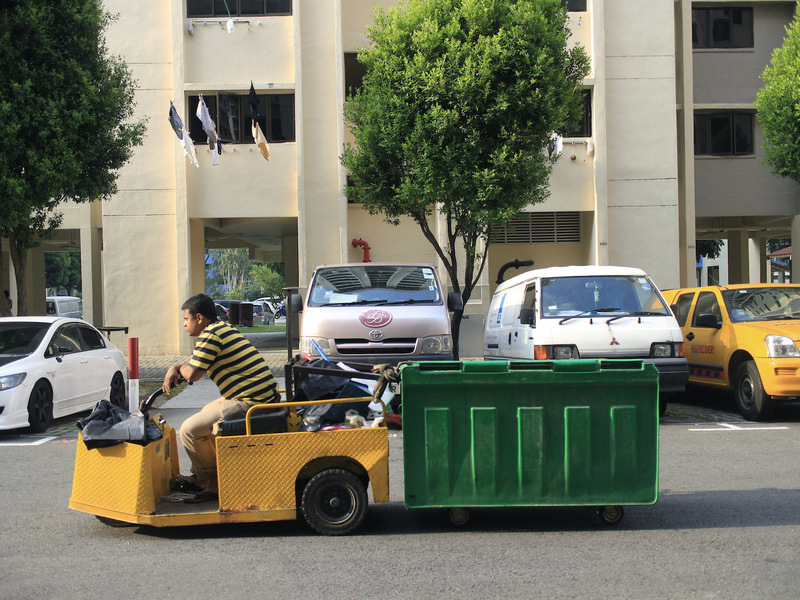 Uncles drinking beers at noon time and not choosing to work… Yes, Hougang and Hougangers are really different….